At national level our brand has firmly established itself in a top level market and it is distributed among the best shoe stores. Barrats 1890 is a brand widely recognised for its traditional artisan values, elegance, design and quality, which are known to evolve along with the latest fashion trends. Our styles are adapted to market demand. Our company presents two new differentiated lines according to market requirements. 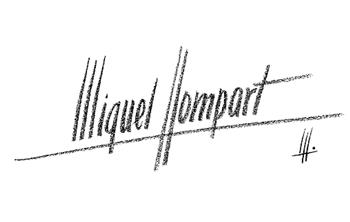 Miquel Llompart line: this is the most select line of the company in which each season is pervaded with the essence of exceptional craftsmanship, exquisite taste, exclusivity and prestige. Barrats 1890 line: this is the line that has made Barrats 1890 a recognisable symbol of quality and prestige. It includes the secondary lines that follow the season’s “modern trends”, informal footwear with attention to the anatomy of the foot and natural walking, and the light footwear line, a high technology shoe that after extensive research and development has allowed us to obtain an ultra light product that still preserves the elegance, design and quality that define our brand.